Heathrow airport in London, Nov 1966 en route to the United States. 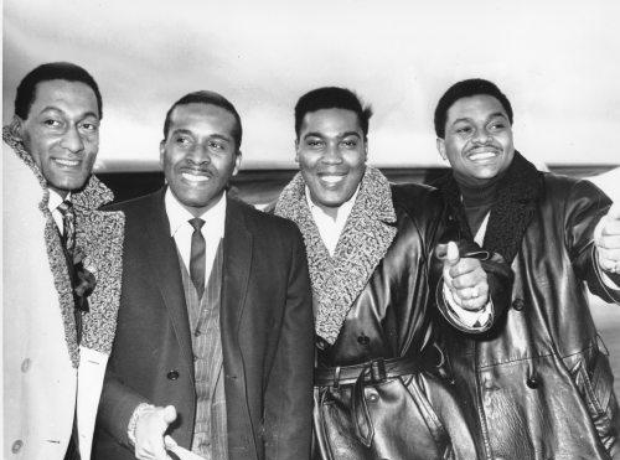 From left to right are, Abdul Fakir, Levi Stubbs, Lawrence Payton and Renaldo Benson. President Bill Clinton appears with members of the Four Tops during a surprise birthday party on the South Lawn of the White House in Washington on Wednesday, Aug. 11, 1993. The group serenaded Clinton during the celebration of his 47th birthday. Lead singer of the group, Levi Stubbs, is second from right. Abdul "Duke" Fakir greets members of other groups during a funeral for legendary Four Tops frontman Levi Stubbs at the Greater Grace Temple in Detroit, Monday, Oct. 27, 2008. Duke Fakir, of The Four Tops, speaks at a commemoration of the 50th anniversary of the founding of Motown Records, Monday, Jan. 12, 2009, in Detroit.